Originally, climate reanalysis data provide wind speed separately for Eastward (u) and Northward (v) directions. These are two different vectors. However, for most applications it is preferably to have wind speed (ws) and wind direction (wd) (azimuth) values instead. 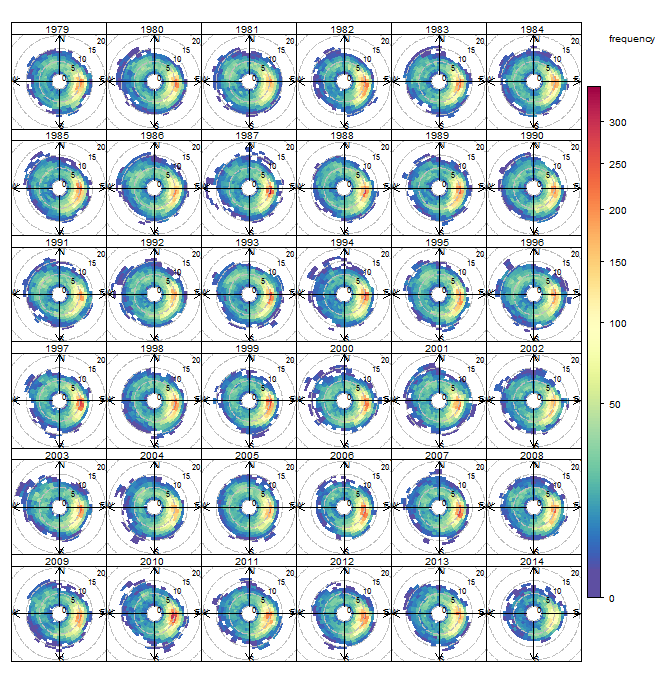 This tutotial shows how to convert u-v vectors to wind speed and direction using RWikience. Wind speed and direction data exploratory tools are also introduced. Prerequisite: you should have RWikience installed into R.
This RWikience introductory tutorial is also worth seeing. Launch Climate Wikience. RWikience will be able to retrieve data only if Climate Wikience is currently running on your desktop. Start your work by loading RWikience package and connecting to running Climate Wikience from R. Note: Climate Wikience should be running for successful connection. 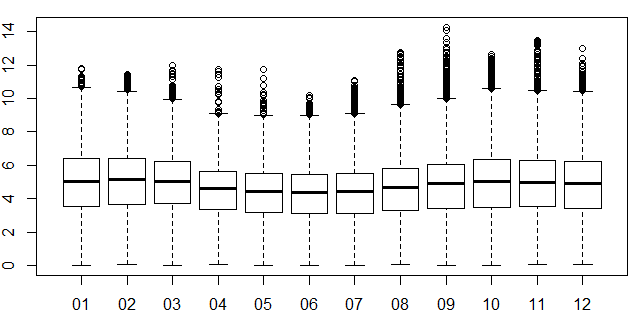 Time series retrieval consists of two parts. NOTE: there are no limitations on time interval maximum length when you retrive time series using R unlike requesting time series in Climate Wikience. 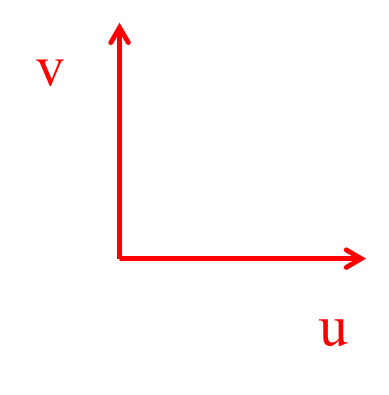 Now we have both u and v vectors for the point. 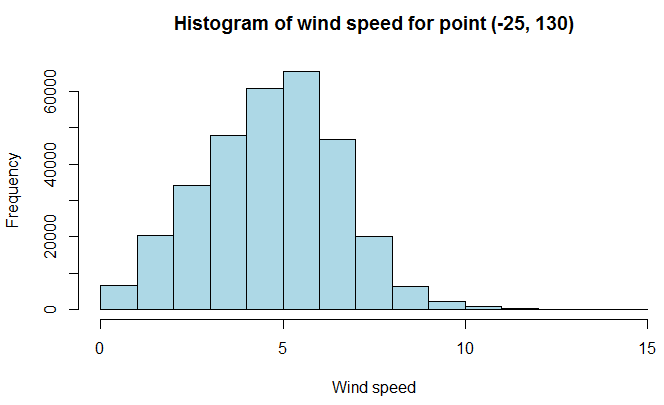 Call the “convertUVtoSpeedAndDirection” function from RWikience package to obtain the data frame containing date, wind speed (ws) and wind direction (wd) columns. Note: wind speed and direction values comply with the UK meteorological office standards. 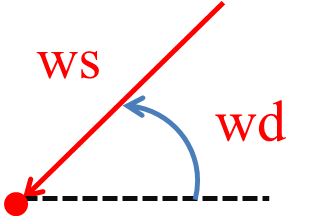 Wind direction is the azimuth (where FROM does the wind blow) as shown on the figure at the top of this tutorial (ws and wd). 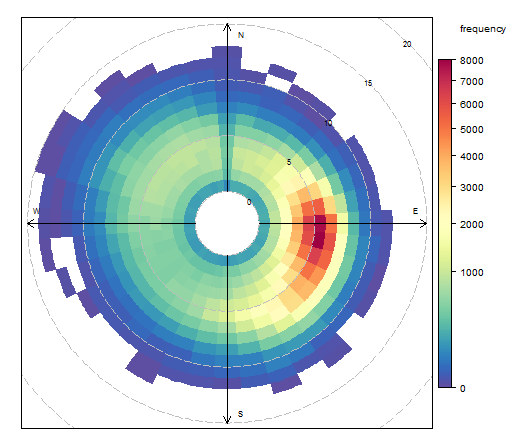 The next section of the tutorial shows the use cases of EDA (Exploratory Data Analysis) that is possible with wind speed and direction time series for a single point (location). The result data frame is used as the parameter to the functions below. 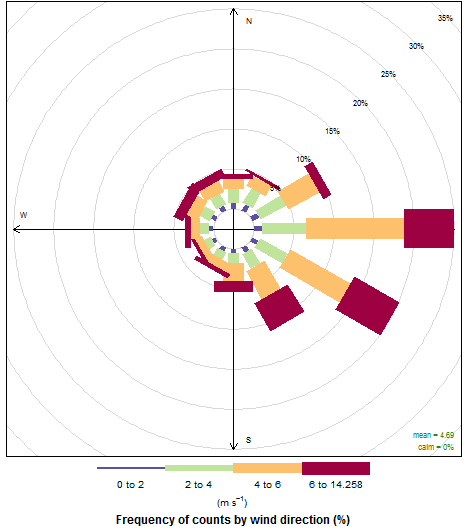 OpenAIR package provides comprehensive tools to explore air pollution and wind data (see below). Display a calendar for a given year. 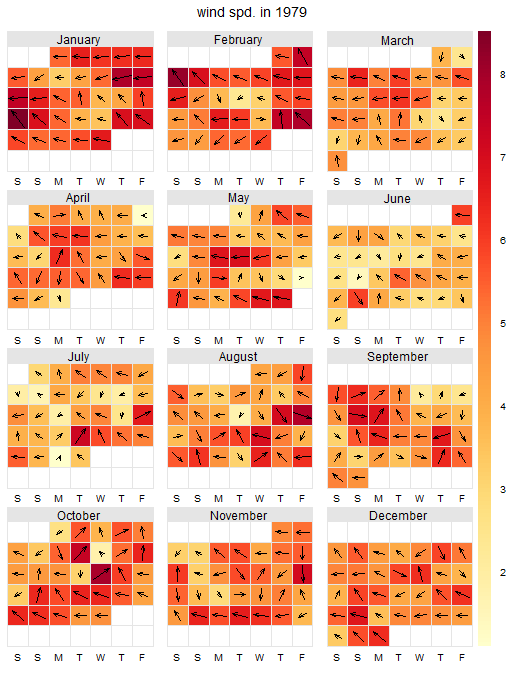 In each cell of the calendar (each day) the wind direction is shown. The color of the cell is proportional to the wind speed. The longer the arrow, the greater wind speed is. 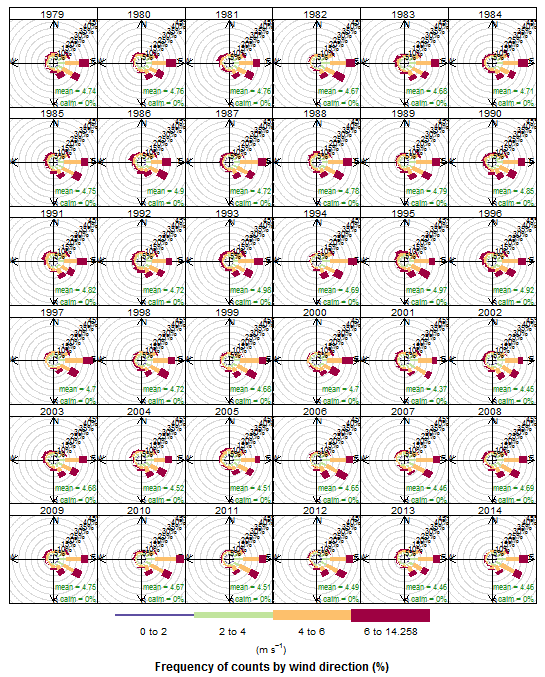 If you would like to use the wind speed and direction data somewhere else, save it to CSV file.